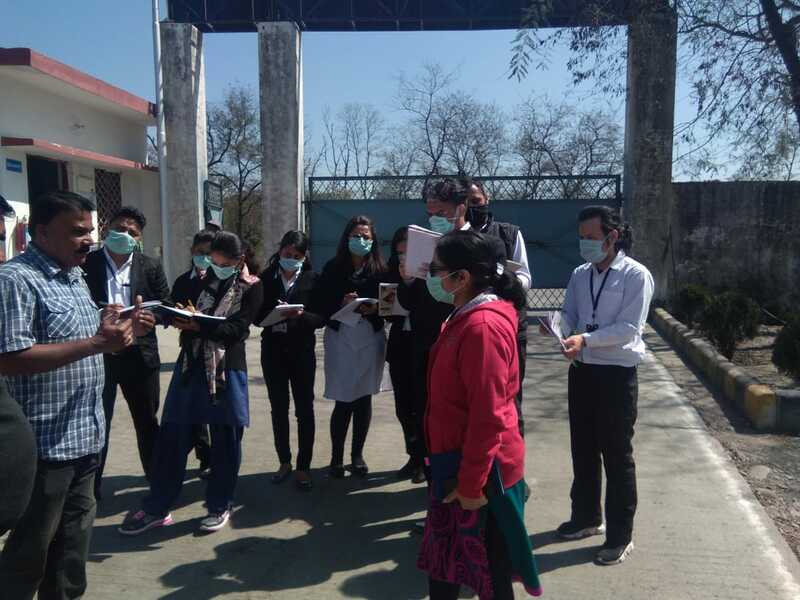 Students of ICFAI Education School, The ICFAI University, Dehradun visited waste Management plant situated at Shishambara, Selaqui, Dehradun, the first plant in Uttarakhand. Mr. Prabhakar, Assistant Manager, WMP, briefed students about the processing of the solid waste collected in Dehradun. The maximum limit of treating the waste in WMP Dehradun is 300-500 tons per day. Initially, the waste is being taken over the weighing bridge followed by three steps i.e. sorting in the first trommel, feeding in the second trommel and finished product in the third trommel. Phosphate solubilising Bacteria is added for treatment of waste. Poly bags after segregation from the waste are used for electricity generation. The compost which is the last product of the waste treatment process consists of 0.8% of Nitrogen, 12 to 14% of Organic Carbon, 0.4% of Potassium and 4.4 % of Phosphorus. Sample test of the compost is done in the laboratory situated in the same campus, packed and transported to the tie-up companies like TATA, NAGARJUNA FERTILIZER, KRIBBCO, MANGLAUR CHEMICALS AND FERTIZERS etc. Students also visited the Solar Evaporation point, which is used for treatment of water produced during the treatment of waste. Alum and soda are used for treating the waste water and made feasible for irrigation process. 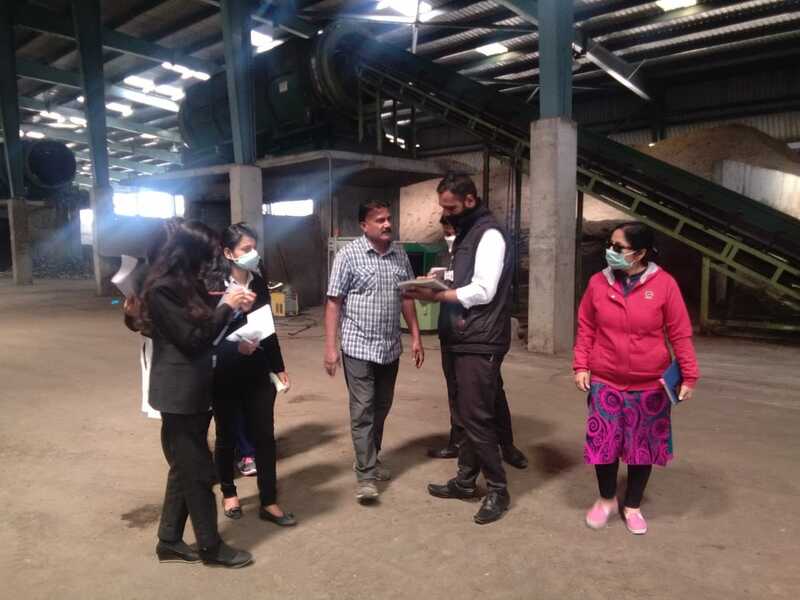 Pupil teachers of ICFAI Education School asked various questions and tried to understand the utility of waste management plant in today’s time. Debarati, Himanshu, Sapna, Ekta, Nityanand, Sunil, Tenzin and Sangita were accompanied by faculty members. The visit was organized by Prof. Sarita Negi and assisted by Ms. Atulya Verma of B.Ed department.